Type locality: England, Devonshire, Dartmoor. * Leach, 1825. Zool. J., 1: 559. * Pipistrellus (Pipistrellus) pygmaeus on Mammal Species of the World. The Soprano Pipistrelle (Pipistrellus pygmaeus) is a small bat that was only formally separated from the Common Pipistrelle Pipistrellus pipistrellus in 1999. The two species were first distinguished on the basis of their different-frequency echo-location calls. The Common Pipistrelle uses a call of 45 kHz, while the Soprano Pipistrelle echo-locates at 55 kHz. 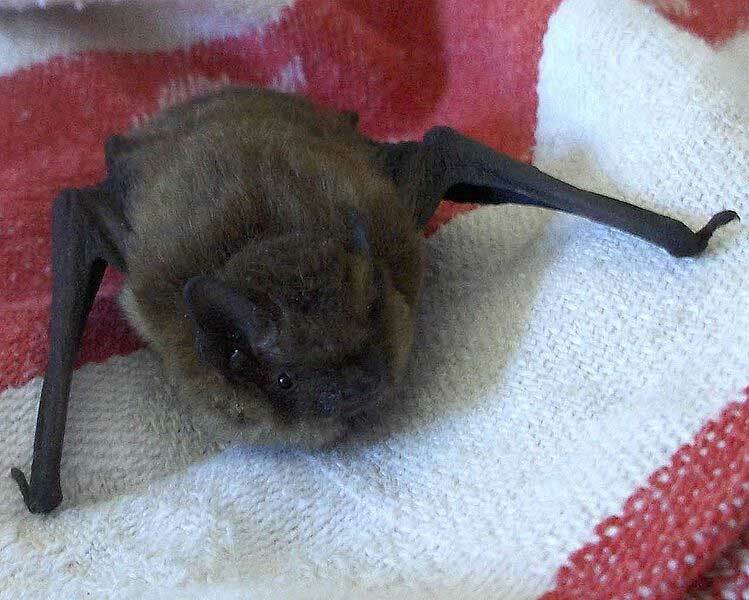 The two species are sometimes called the 45 kHz pipistrelle and the 55 kHz pipistrelle, or the bandit pipistrelle (common) and the brown pipistrelle (soprano). Since the two species were split, a number of other differences, in appearance, habitat and food, have also been discovered. 1. ^ Parsons, S. and Jones, G. (2000) 'Acoustic identification of twelve species of echolocating bat by discriminant function analysis and artificial neural networks.' J Exp Biol., 203: 2641-2656. 2. ^ Obrist, M.K., Boesch, R. and Flückiger, P.F. (2004) 'Variability in echolocation call design of 26 Swiss bat species: Consequences, limits and options for automated field identification with a synergic pattern recognition approach.' Mammalia., 68 (4): 307-32.